Maiboroda, Platon [Майборода, Платон; Majboroda], b 1 December 1918 at Pelekhivshchyna khutir, Kremenchuk county, Poltava gubernia, d 8 August 1989 in Kyiv. Composer; brother of Heorhii Maiboroda. He studied under Lev Revutsky and graduated (1947) from the Kyiv Conservatory. His works include the symphonic overture Prometheus, choral works, and the vocal-symphonic poem Poplar, (text by Taras Shevchenko, 1966). He is best known for his popular songs, such as ‘The Kyiv Waltz,’ ‘White Chestnuts,’ ‘Song about the Dnieper,’ and the widely familiar ‘Rushnychok’ (Embroidered Towel, text by Andrii Malyshko), which is commonly known as ‘Ridna maty moia’ (Dear Mother Mine). 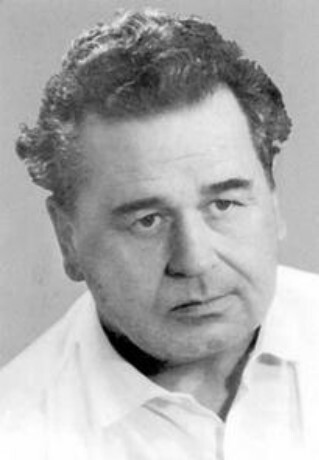 He was awarded the Shevchenko State Prize in 1962.